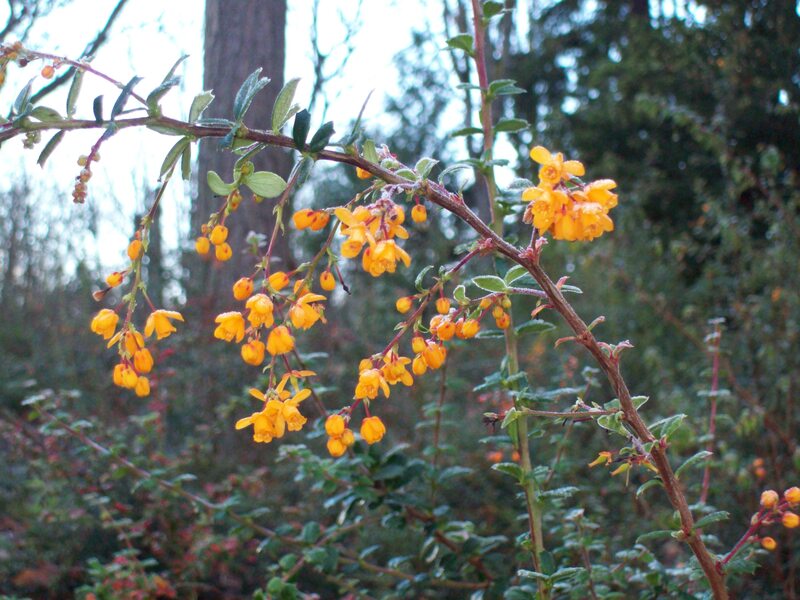 I met Berberis darwinii yesterday at the Washington Park Arboretum. Temperatures were in the upper 30’s, so it’s always an unexpected surprise to find the unassuming December flower. 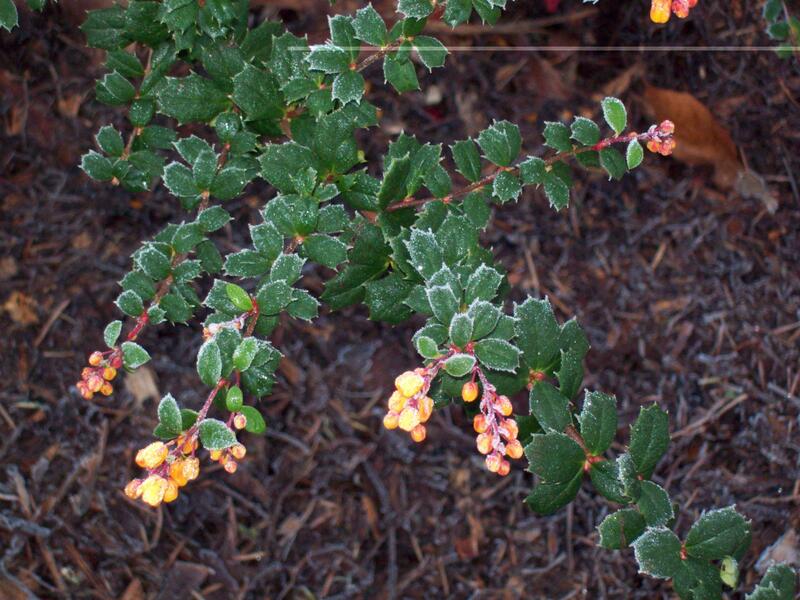 This shrub is in the Pacific Connections Garden, which brings together plants from Cascadia (the Northwest), Chile, Australia, New Zealand and China. I love walking through these collections and looking for similarities and differences from our own Northwest natives. Darwin’s Barberry could be a Dr. Jekyll and Mr. Hyde. It has won an award of Garden Merit from the Royal Horticultural Society in England as a popular evergreen shrub, yet in New Zealand it’s on the black list of invasive plants, being prohibited to sell or propagate throughout the country. Climate makes all the difference. And the ability to spread by underground runners. This barberry is from South America, native to southern Chile and Argentina. Like other barberries, Darwin’s has some serious thorns, but the leaves remain glossy green all year making it an excellent hedging plant. It reaches 5-10 feet in height and almost as wide. It’s hardy to zone 7 and flowers in shades of yellow or orange in winter/early spring, followed by an edible berry. It grows in sun to part shade and will form a thicket if left to its own devices. This barberry was named by Charles Darwin on his 1835 voyage of the Beagle. Learn it, know it, grow it! So is it not invasive in our climate? It would be nice to add a bit of color for December, but I’m nervous about introducing something that sounds a bit like a blackberry nightmare! It’s not invasive here, but it does spread slowly by suckers. It’s also really thorny, making it painful to prune. But, if it has space and you can just leave it alone, it’s a beautiful shrub. We have a similar variety growing at the Gray Barn, come take a look!